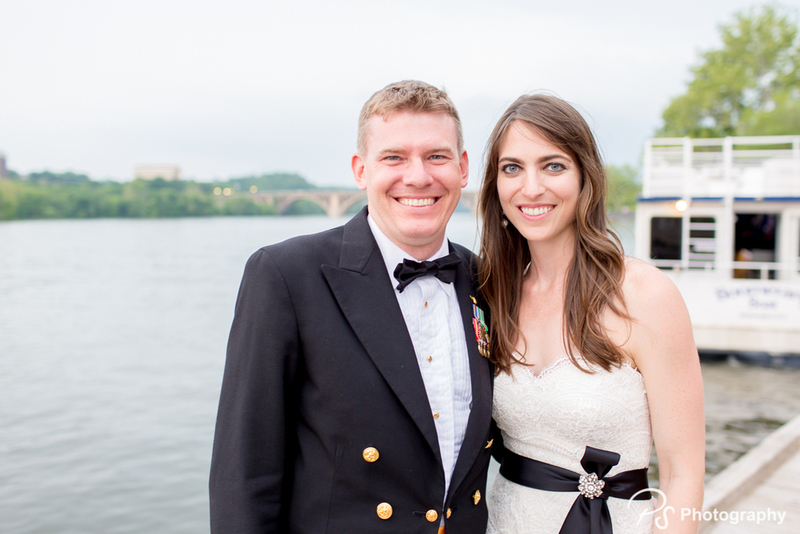 I was so excited to capture Chelsea and Kevin's stunning wedding in Washington DC. Having lived in the DMV for 8 years, it was great to spend the day revisiting the great sights that DC offers with a beautiful wedding party. The festivities started early in the day just blocks from The Capitol Hill Building at St. Peter's Church. St. Peter's was an amazing church to shoot in. Huge windows and natural light created the perfect ambiance for the ceremony, with gold and yellow light reflecting onto the guests. Afterwards the party took a limo to stop by the Thomas Jefferson Memorial where we took our time to shoot some fun photos, followed by a second photo session in front of the majestic Capitol Hill Rotunda. Not being pressed for time, everyone was having so much fun just enjoying the experience. The reception was held at the scenic Georgetown Waterfront at Seqoia. Unbeknownst to our newly weds, Maid of Honor Brenda and a friend surprised the couple by performing a secretly rehearsed acoustic guitar rendition of Third Eye Blind's "Semi-charmed Kind of Life" to which Chelsea and Kevin along with the crowd erupted in applause. After some endearing speeches and dinner, everyone danced the night away up until the last song. Thank you, Chelsea and Kevin, for letting us be a part of your special day. Congratulations to both of you, and your whole family and may you have a blessed future together! Thank you for sharing an unforgettable day with us. Warmest wishes for your new lives together!